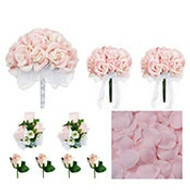 CORSAGE 2: Beautiful double blush rose fake wedding flower with blush hydrangea blossoms and dusty miller green leaf. Satin ribbon tie is included. 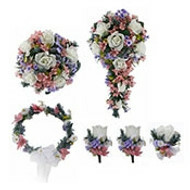 We offer 2 corsage options for this blush rose bridal collection. 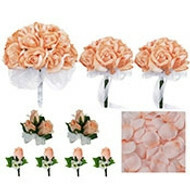 This soft color palette is a delicate color between a soft coral and a pale pink with ivory tones blended in. This is a perfect color to blend with so many bride and bridesmaid blush dresses. 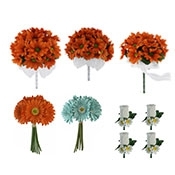 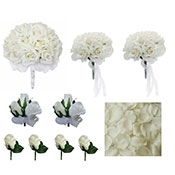 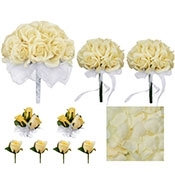 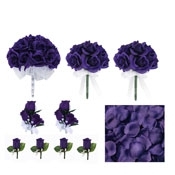 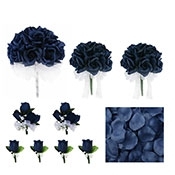 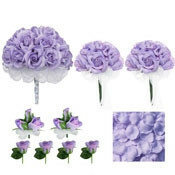 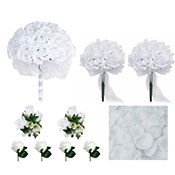 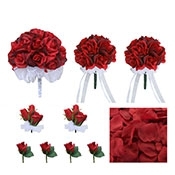 Even though they are fake flowers, your guests will probably think that these fake bouquets look real.This gorgeous silk wedding collection comes in several styles and sizes to fit all the needs of your wedding party. 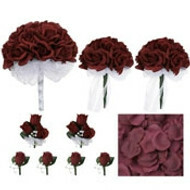 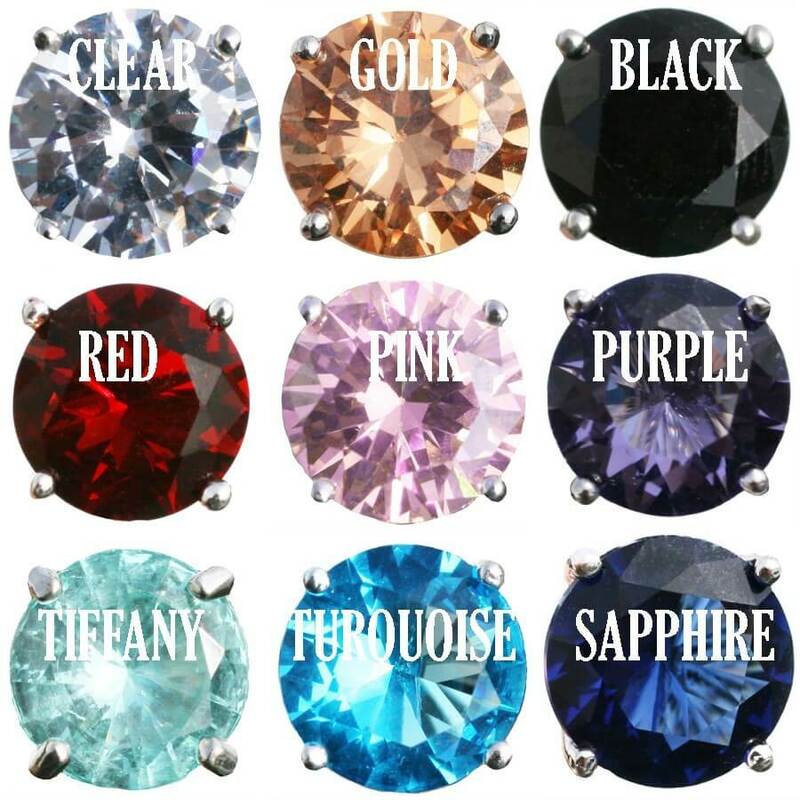 Choose from 10 satin ribbon colors that are used to tie this corsage to the wrist.